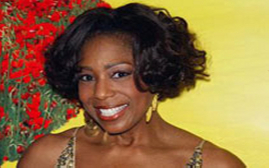 *PASADENA, CA – The Pasadena Playhouse (Sheldon Epps, Artistic Director and Elizabeth Doran, Executive Director) announced the full casting and creative team for INTIMATE APPAREL. Written by Lynn Nottage (Pulitzer Prize-winner, Ruined) and directed by The Playhouse’s Sheldon Epps, performances will begin November 6 through December 2, with an official press opening on Sunday, November 11, 2012, at 5:00 p.m. at The Pasadena Playhouse. Tickets are now on sale. In addition to director Sheldon Epps the creative team for INTIMATE APPAREL includes scenic design by John Iacovelli (The Playhouse’s Under My Skin, The Heiress, Art and Blues for an Alabama Sky), lighting design by Brian Gale (The Playhouse’s The Heiress), sound design by Steven Cahill (The Playhouse’s As Bees in Honey Drown) and costume design by Leah Piehl (The Playhouse’s The Heiress). In INTIMATE APPAREL, The time is 1905 in New York City and Esther, a middle-aged, black seamstress, has learned to make ends meet by teaching herself to sew beautiful and delicate lingerie for her uptown and downtown clientele. After nearly two decades of loneliness and watching the younger and prettier girls come and go in the boarding house she rents from, Esther finds solace and possible romance in letters from George, a handsome, young Caribbean man working on the Panama Canal. Re-energized by his affectionate words, but hindered by illiteracy, Esther confides in two of her patrons, Mrs. Van Buren, a rich white socialite, and Mayme, a prostitute, to pen her letters back to George. Meanwhile, Esther’s heart also seems to lie with Mr. Marks, the Hasidic shopkeeper who relishes in sharing his exquisite finds of satins and silks and has also grown increasingly fond of Esther. But the impossibility of their match is obvious to them both, so Esther settles for a marriage to George. He subsequently manages to frivolously spend all of her life savings on whores and liquor – dashing all of Esther’s hopes of opening a beauty salon. Once again penniless and alone, Esther reluctantly returns to her sewing machine to refashion her dreams from the cloth of her life’s experiences. 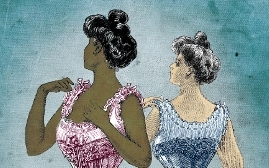 INTIMATE APPAREL is the winner of the 2004 New York Drama Critics Circle Award and the Outer Critics Circle Award for Outstanding Off-Broadway Play. Written by Lynn Nottage, Pulitzer Prize-winner for 2010’s Ruined, critical praise for INTIMATE APPAREL includes: “Nottage’s play has a delicacy and eloquence that seem absolutely right for the time she is depicting…New York has no richer play.” (NY Daily News); “…thoughtful, affecting…The play offers poignant commentary on an era when the cut and color of one’s dress – and of course, skin – determined whom one could and could not marry, sleep with, even talk to in public,” (Variety); “Ms. Nottage has done so much good historical research…I want Ms. Nottage to keep working with this form; we see it so little, and we need it so much.” (New York Times); “a near-perfect balance between content and execution…” (Associated Press). INTIMATE APPAREL will play from November 6 – December 2, 2012 with the official press opening on Sunday, November 11, 2012, at 5:00 p.m. The Pasadena Playhouse is located at 39 South El Molino Avenue, Pasadena, CA 91101. The performance schedule is Tuesday through Friday at 8:00 p.m.; Saturday at 4:00 p.m. and 8:00 p.m.; and Sunday at 2:00 p.m. and 7:00 p.m. Single show ticket prices for INTIMATE APPAREL range from $22.00 – $62.00, with Premium Seating available for $100.00. Service and theatre restoration fees apply to all purchases. Rush tickets are available for $20.00 one hour prior to the performance time and are subject to availability. Rush tickets must be purchased at The Pasadena Playhouse Box Office. Tickets are available by calling The Pasadena Playhouse at 626-356-7529 or by visiting The Pasadena Playhouse Box Office, Tuesday – Sunday from 12:00 p.m. until 6:00 p.m. during non-performance dates. On performance dates the Box Office is open Tuesday – Saturday from 12:00 p.m. – 8:00 p.m. and 12:00 p.m. – 7:00 p.m. on Sunday. Tickets are available 24 hours online at www.PasadenaPlayhouse.org. Group Sales (8 or more) are available by calling 626-921-1161. For additional information visit www.PasadenaPlayhouse.org.